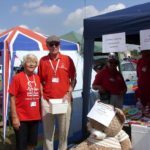 On Sunday the 8th July members of the group were at the Spilsby show, where on a very hot day they had a stall raising funds for the British Heart Foundation. 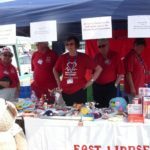 Two of our cardiac nurses, Martine and Jackie were also present doing blood pressure readings for the public which went down very well and we did our usual lucky dip for children and by 2pm all our 200 items were gone. Once again everyone was thrilled to see the Lancaster flying over. 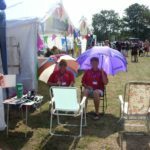 A good day was had by all.